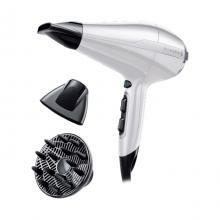 The new PRO Air Power 2300 combines professional power and quiet performance into one feather light dryer. With a powerful 2300W for faster drying results* this dryer gives you a professional performance every time with a 130km/ h air speed. It’s also 50% quieter* so you can now enjoy salon quality results in the comfort of your own home with the noise from your hairdryer reduced. With a variety of three different temperatures to choose from and a choice of two speeds, this dryer has the perfect setting for every hair type. And once you’ve blow-dried your locks into a style you desire you can use the cool shot to set your look in place. 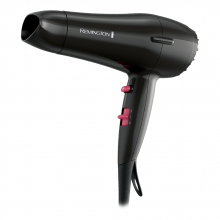 The PRO Air Power 2300 also features an Ionic Generator with 90% more ions for a frizz free shine. 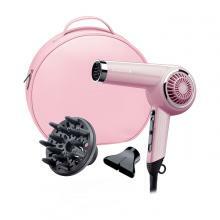 * Now you can quickly and effortlessly blow-dry and style your hair in the knowledge that frizz is a thing of the past. Putting a powerful and professional AC dryer into a light weight and easy to use design, the PRO Air Power Dryer gives you salon quality results without the strain of lifting a heavy dryer.